The following photos and textes are the result of my journey in the bigger cities of the south of Finland and of the Baltic states. 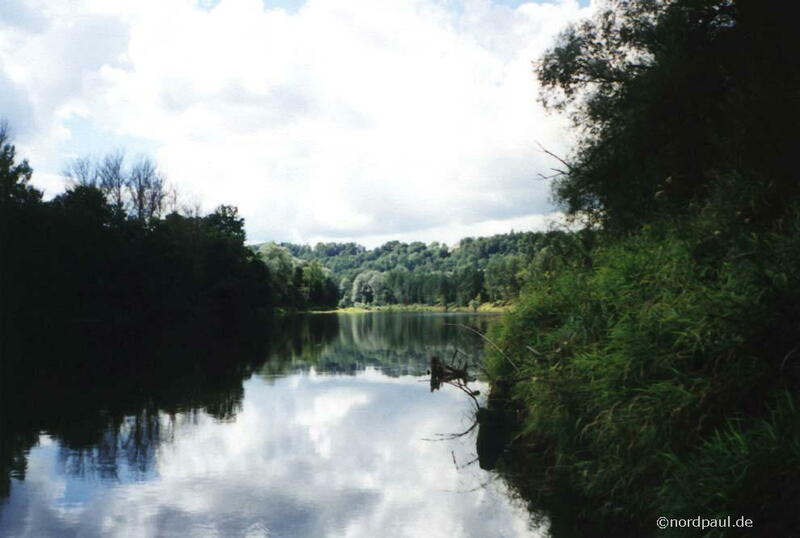 In addition we did also some trips into the nature of Finland, Estonia and Latvia. 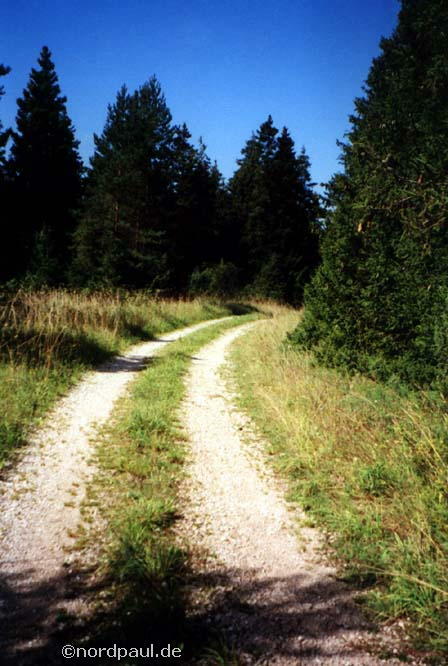 In August 2001 we went for four weeks in the south of Finland and in the Baltic States from youth hostel to youth hostel. For the journey we took ferries, trains and busses, but also a taxi, a cableway and a canoe. During this tour we had to pre and reset our watches for several times. My time data in this report were valid in summer 2001. 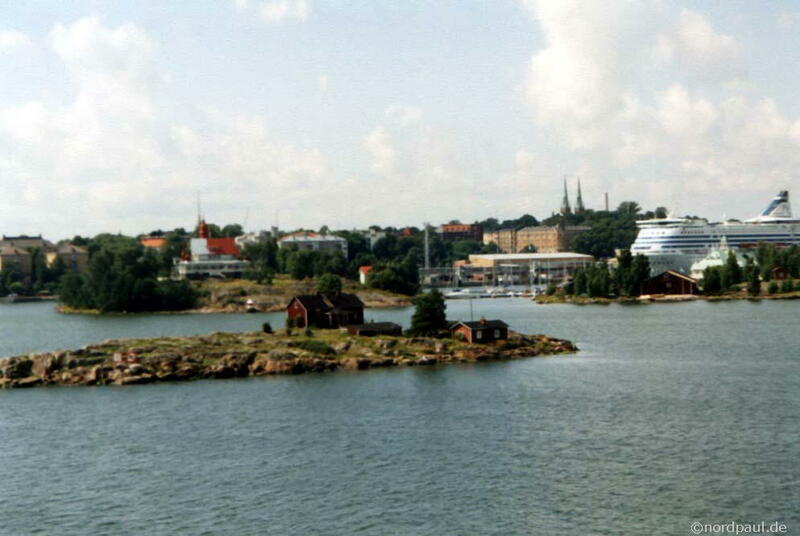 In Rostock/Germany we took the fast ferry FinnJet of the Silja Line to Helsinki. For about 50 EUR (2001) we were for 26 hours on board. 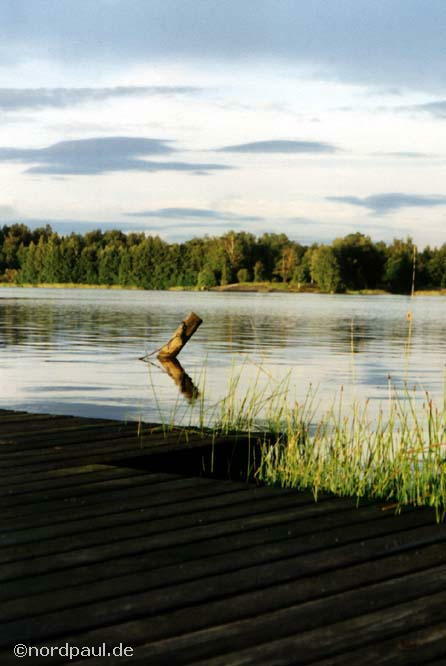 » Finnish time: CEST (Central European Summertime) +1 hour. 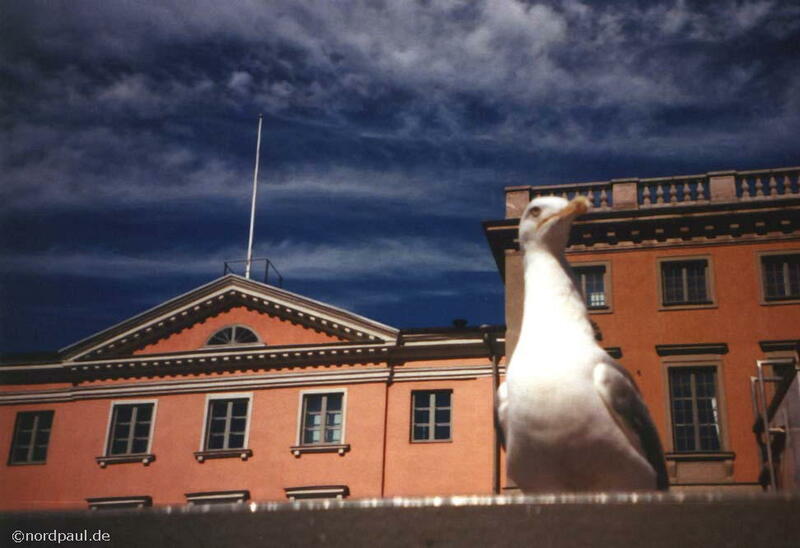 In Finlands capital Helsinki you find two well booked Youth Hostels in the city centre. I cannot recommend the something off lying "Stadium Hostel" because of missing cleanness. Helsinki has a rather uninteresting architecture. 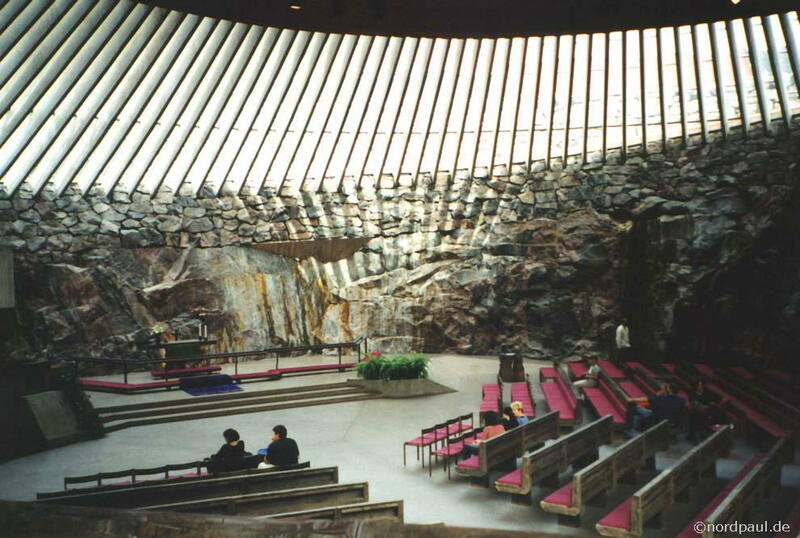 Exceptions are the modern Temppeliaukio Church which is carved out of rock and the old fortress Suomenlinna in the harbour. 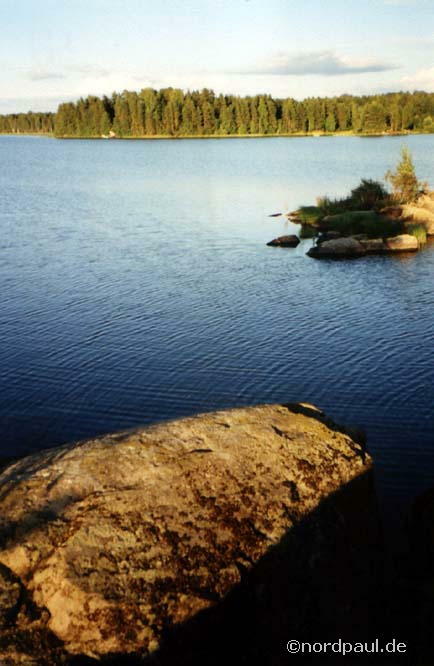 But Finland is anyway much more a country of the lakes and forests. 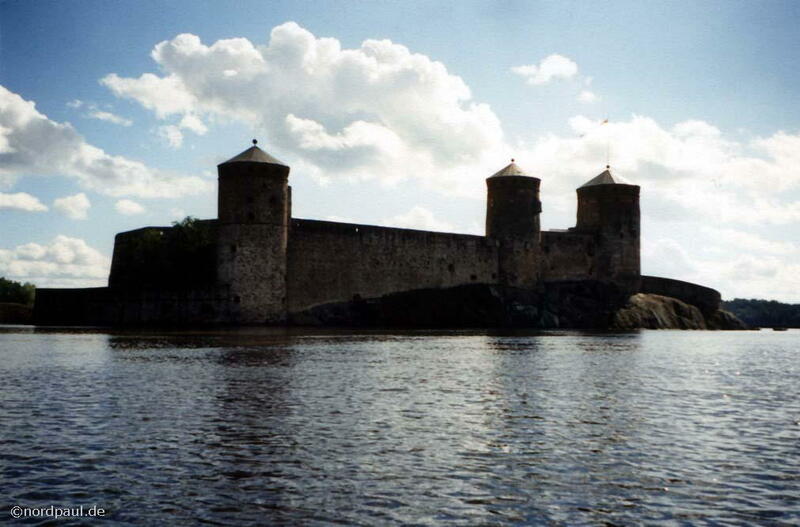 After four days in Helsinki we continued the journey with going by train into the eastern lake area to Savonlinna. 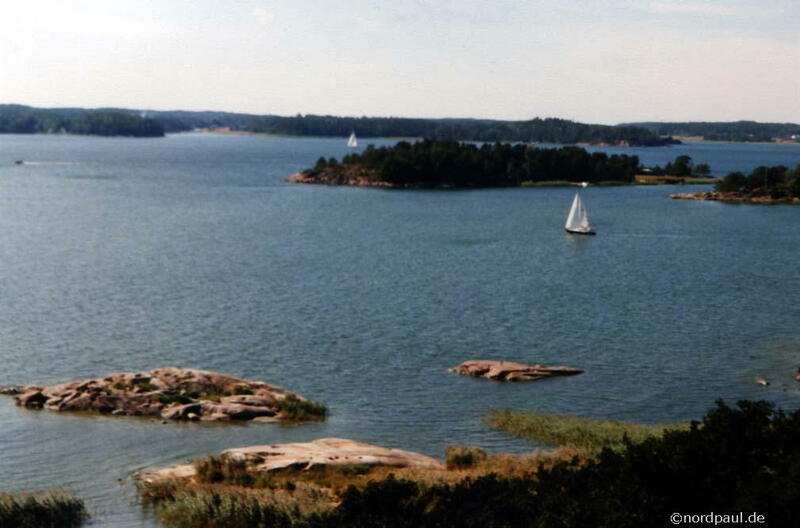 There we discovered the typical Finland with the blue lakes and green forests. 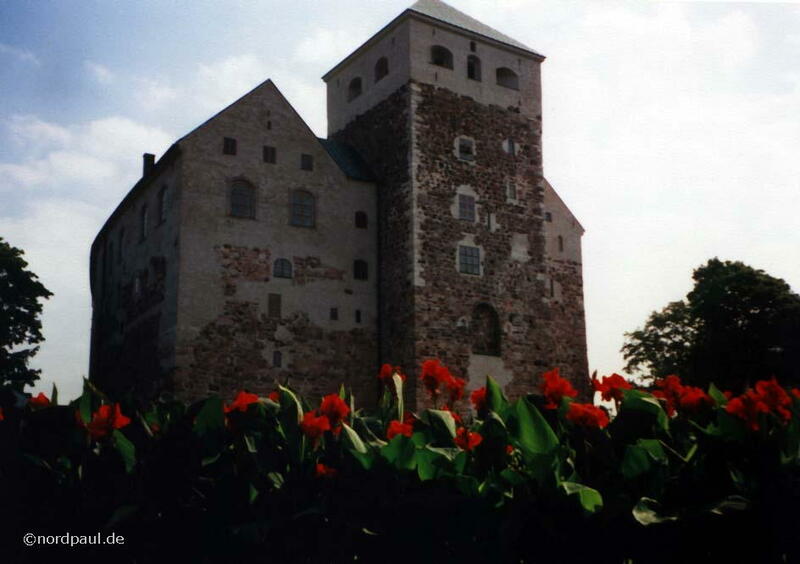 The castle Olavinlinna is in the city center of Savonlinna (entrance only with guidance, reduce 4 EUR, 2001). 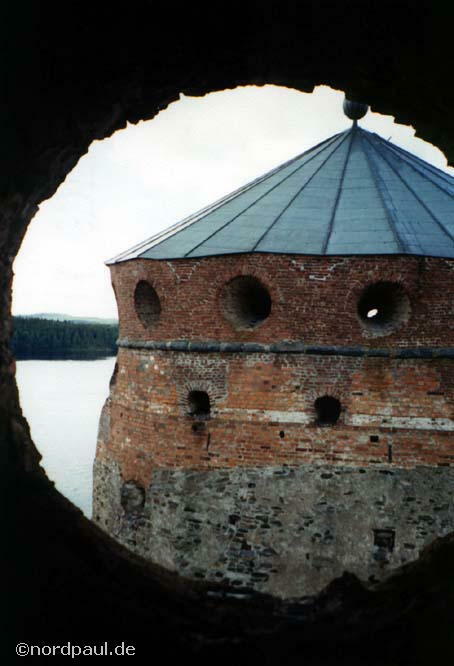 The castle was alternate in the possession of Sweden or Russia. 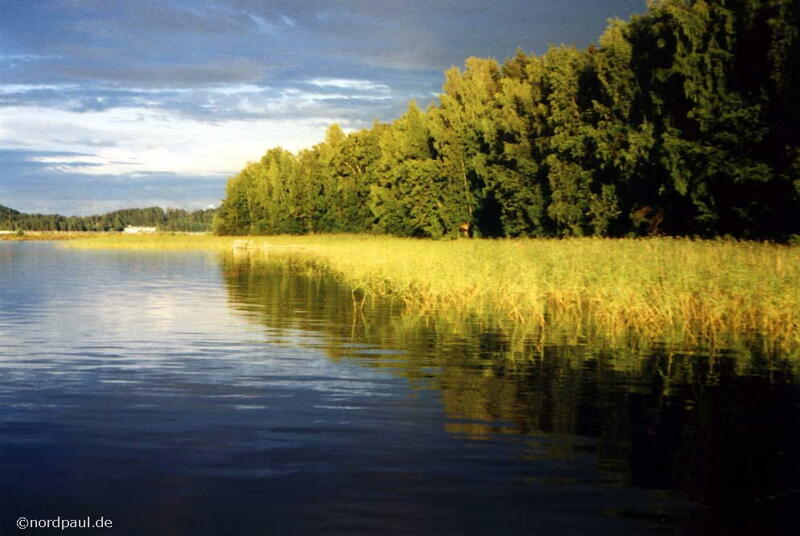 A paddle tour with a canoe is also very recommendable in Savonlinna: we paid only 12 EUR for a whole day. 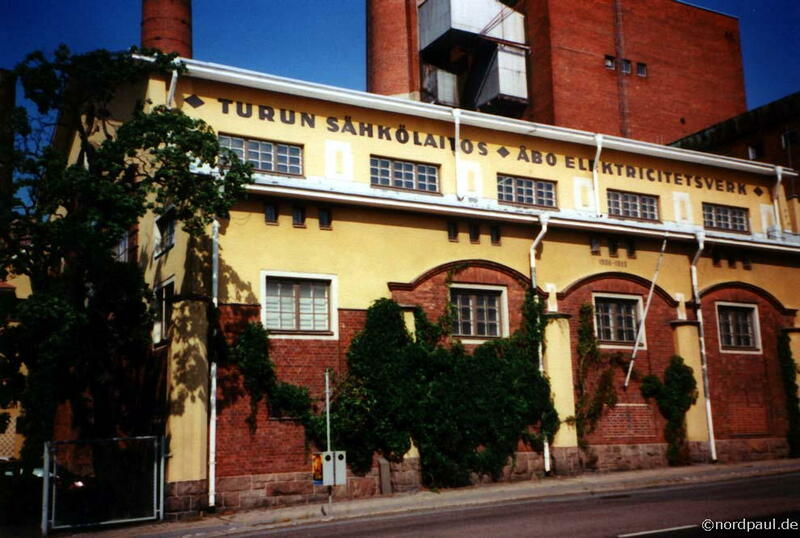 Turku was our last stop in Finland. 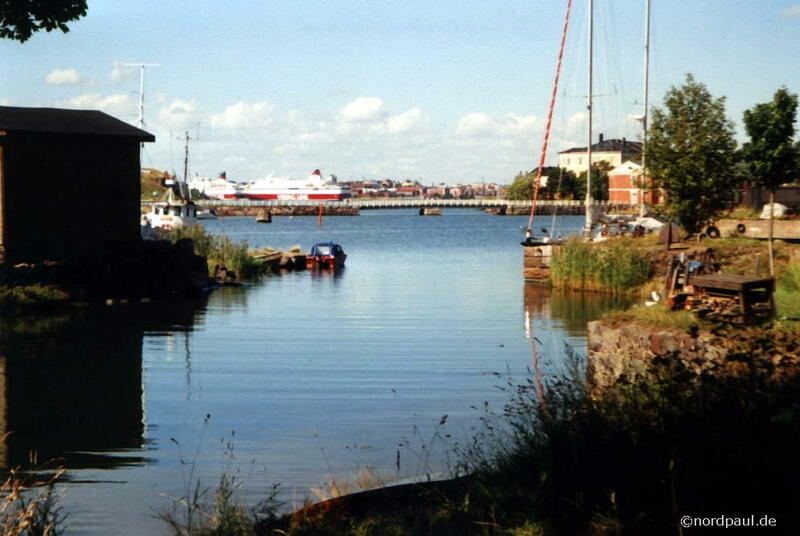 This city is situated in the southwest of Finland and within many skerries. As everywhere in Finland we ate also in Turku a large pizza and salad and a glass of milk for only 5 EUR. On the way back to Helsinki something special happened in the train: in a local train it seems to be duty to have a seat reservation. We bought this in the train - but there were no seat numbers on it! After arriving in Helsinki we went by ferry to Tallinn. 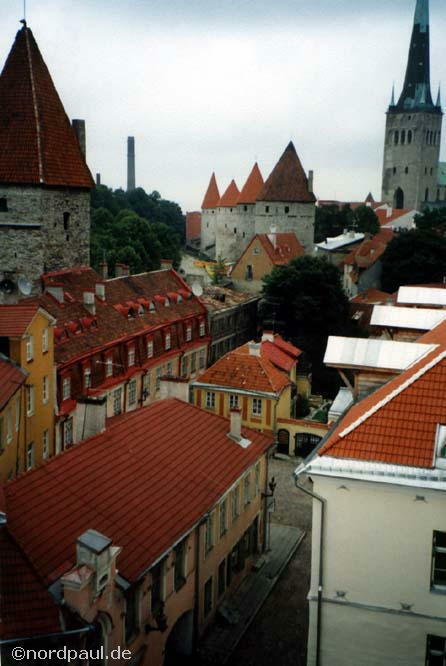 There are several passages by ship or fast ferry to Estonia each day. 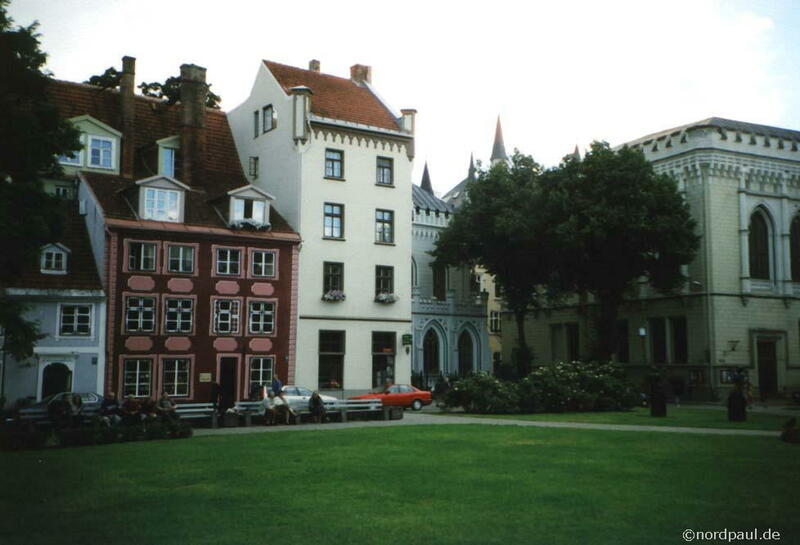 In the middle of the old town of the Estonian capital Tallinn we slept in the "Hostel Vana Tom" for only 13 EUR (2001). 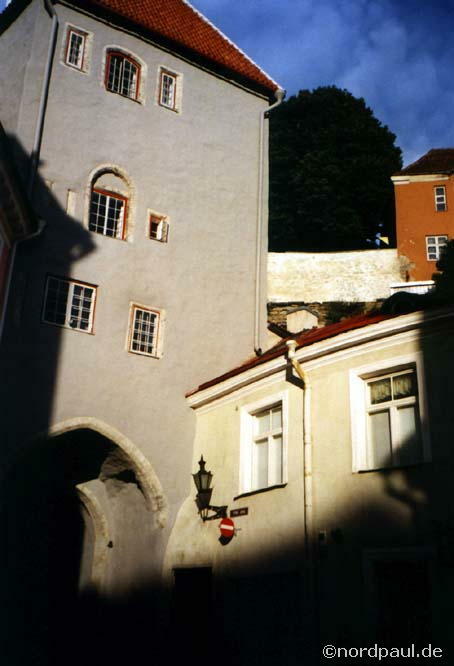 The old town of Tallinn is devided into two parts: the upper and the lower town. Only old colored houses are located in both parts: some of them are renovated, some are not shining any longer in fresh colors and the remaining a rather broken. 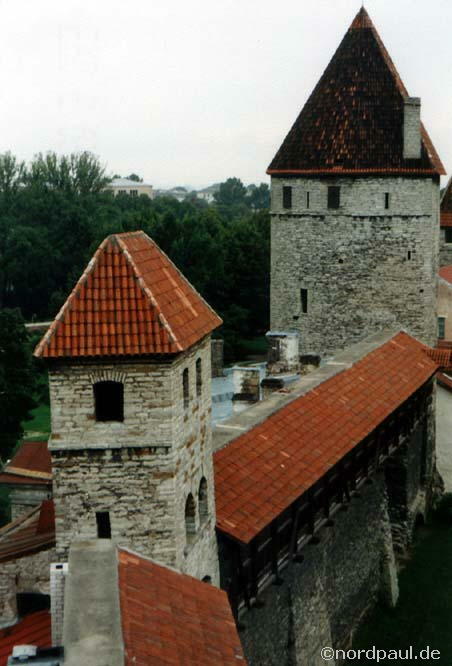 And around both parts you find a complete city wall with many watch towers: you have to visit some towers! 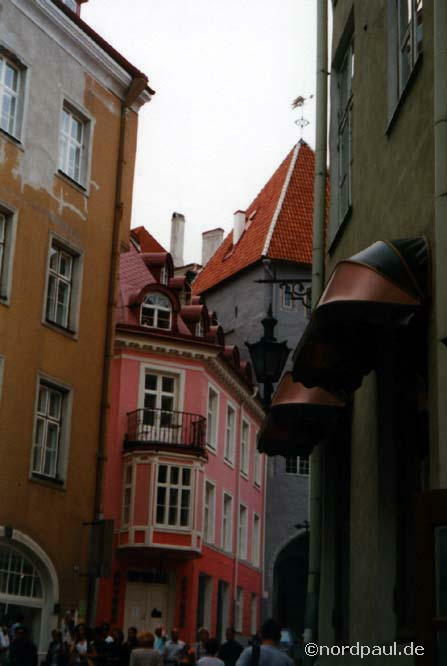 In my opinion the old town of Tallinn is one of the most beautiful in Europe and already alone a reason for a journey. 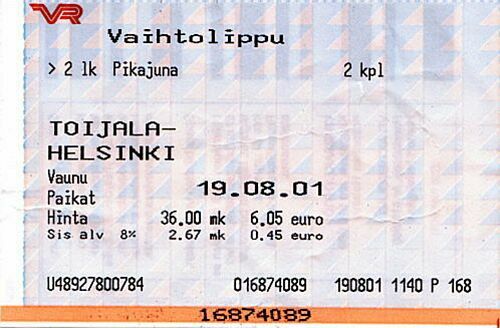 For only 13 EUR (student, 2001) I bought a retur ticket for a bus and ferry trip to Kärdla on the island Hiiumaa. 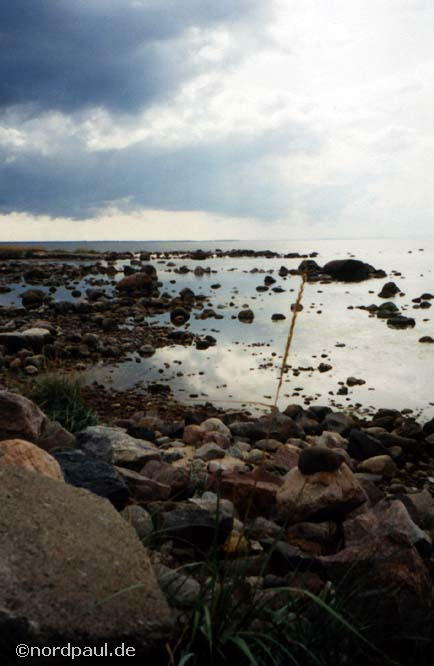 Hiiumaa is one of the two large western islands in the Baltic Sea. 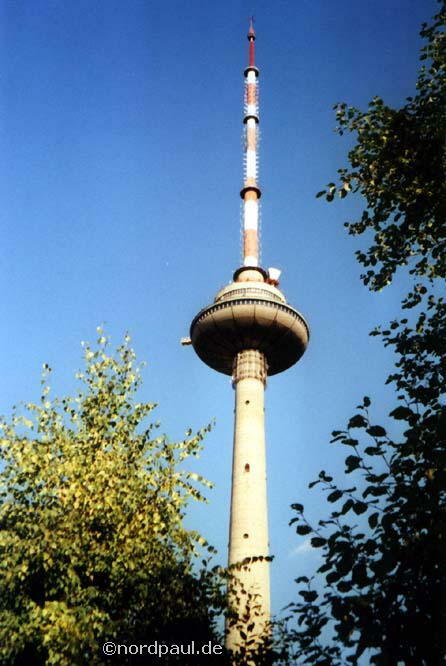 At night you can see many more stars at the sky than anywhere else over the illuminated Central Europe. » Latvian time: CEST +1 hour. 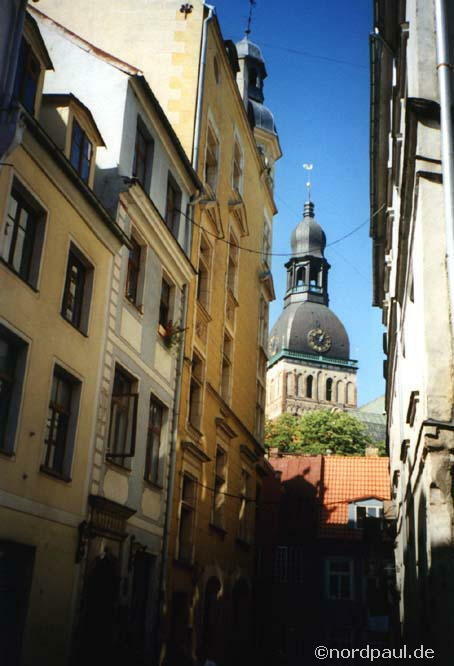 The latvian capital Riga and most of the houses are very similar to my hometown Berlin. 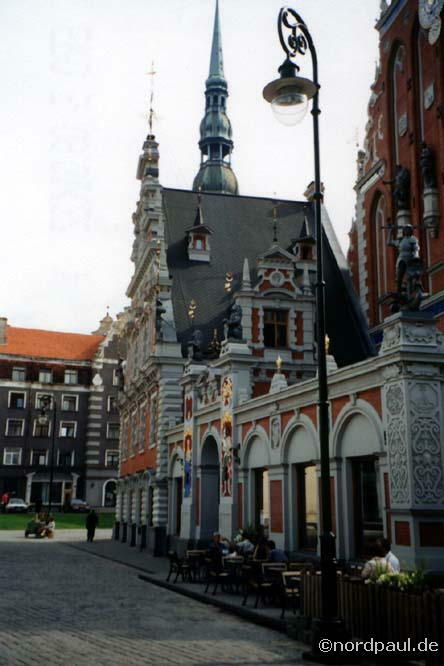 The old town was completely reorganized. 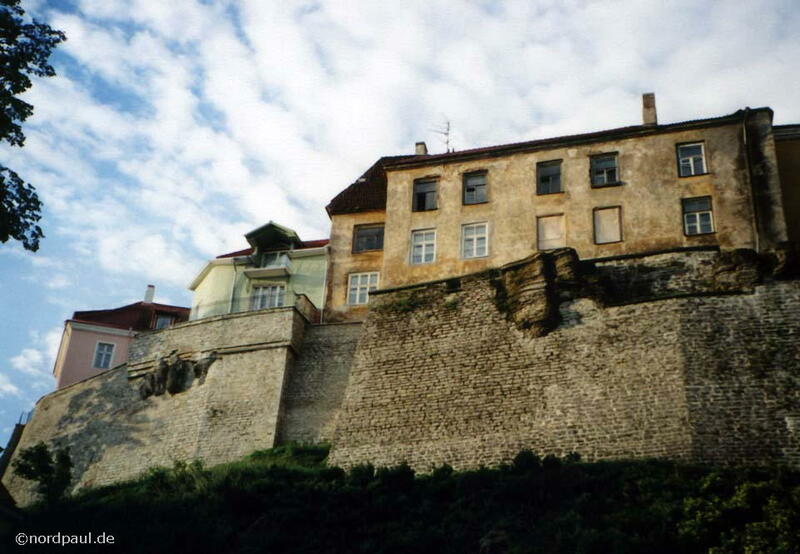 We saw only a short part of the city wall. 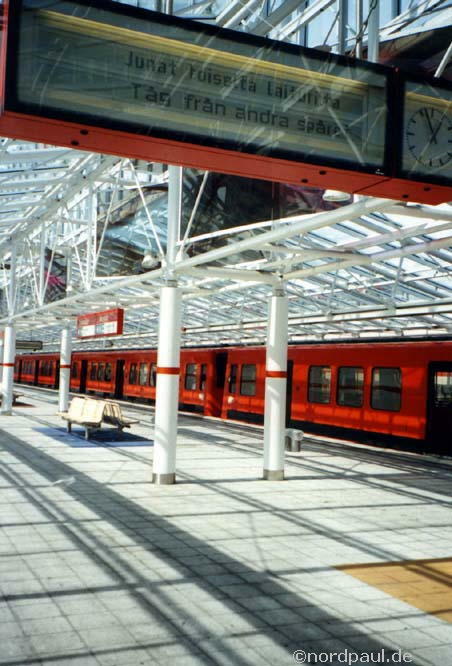 From Riga we took local trains to Jurmala and the endless Baltic Sea beaches (1,20 EUR, 2001) and into the Gaujas Nacionalais Parks near Sigulda (2,60 EUR, 2001). 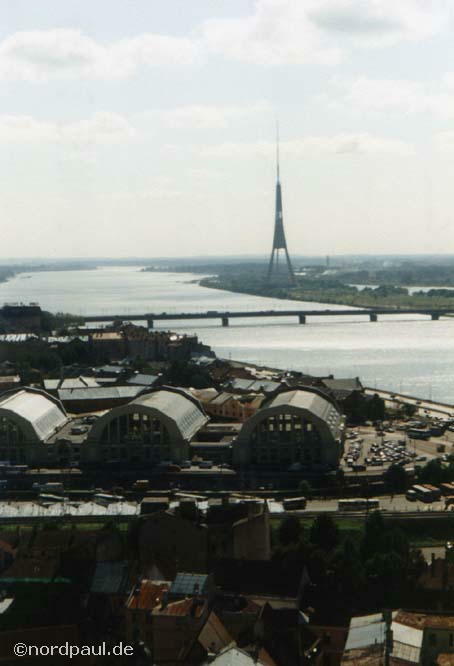 Two times a day railway trains go from Riga to Vilnius and farther (travel time about six hours). 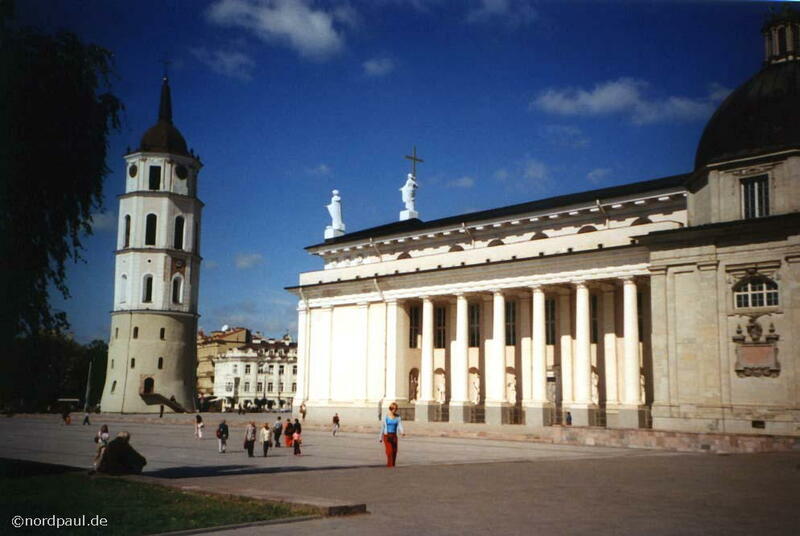 The lithuanian capital Vilnius is a fine small city with many churches. 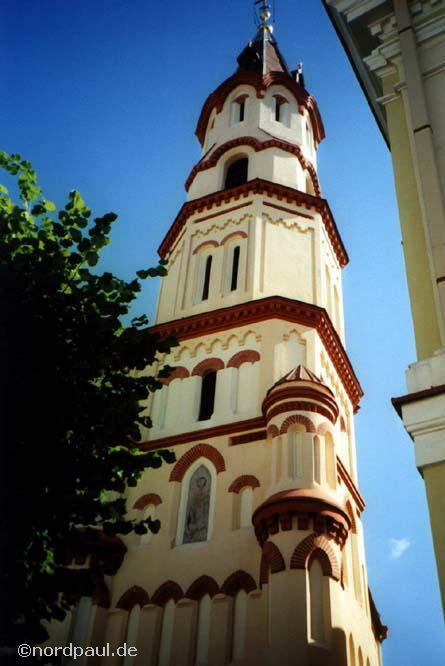 The city centre consists of very well modernized houses which are interrupted again and again by churches. 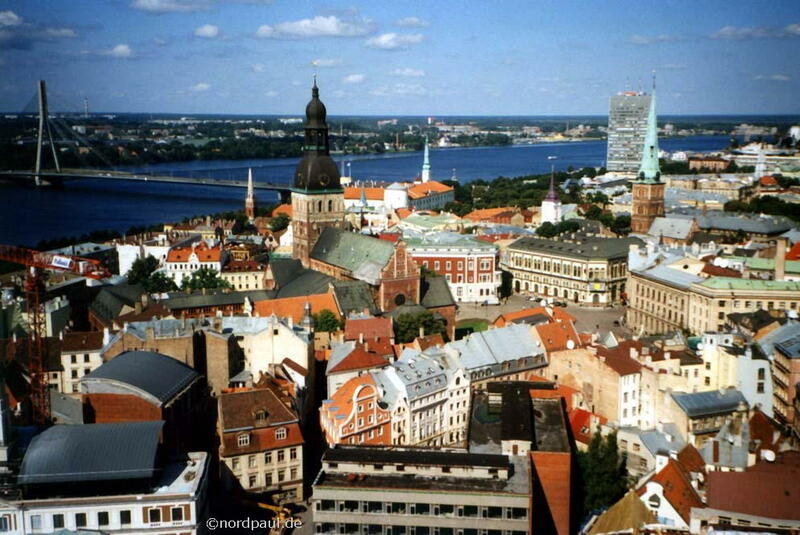 In difference to Riga you find a perfect appearing city. 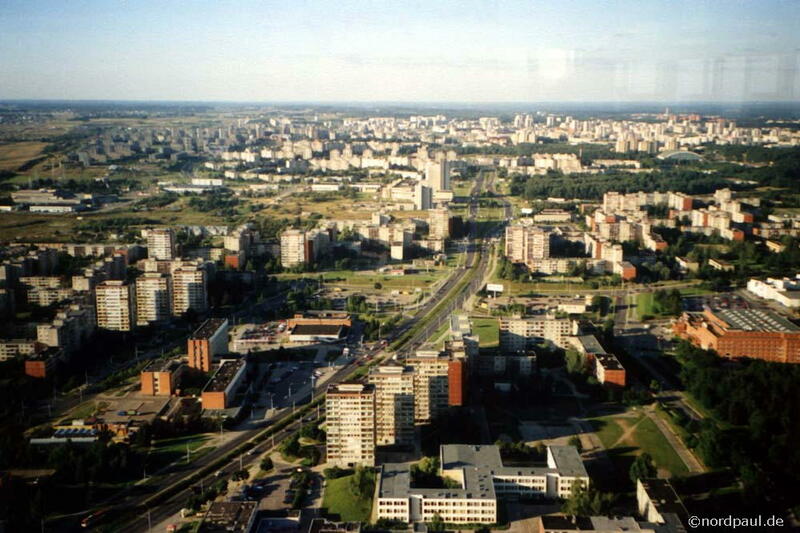 As in all formerly socialist cities there are also concrete slab buildings settlements at the border of Vilnius. The KGB Genocid Museum in the city centre shows in a very shocking way how the different states "lived" and acted in Lithuania. 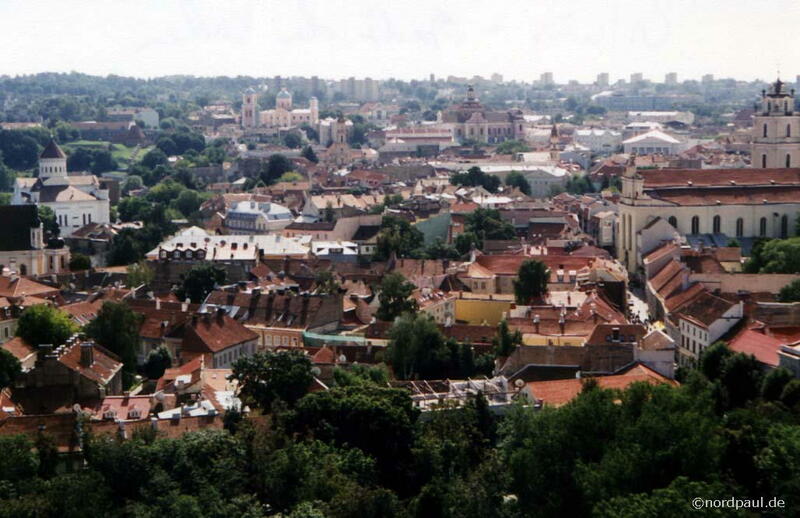 The return trip to Berlin began in Vilnius in a cosy Polish night train in the evening. In the next morning we had in Warsaw only ten minutes time for changing the train to Berlin. 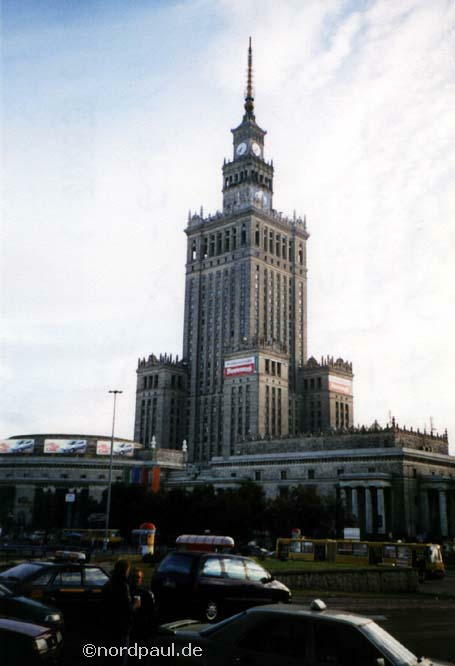 However this was still enough time for taking a picture of the Culture Palace Warsaw. In all the three Baltic capitals we saw und took many trolly busses, in Tallinn and Riga also tramways. 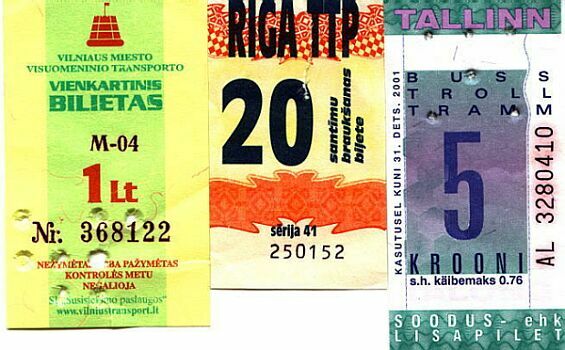 The prices for a single ticket were very low in the year 2001: Vilnius 0,28 EUR/ Riga 0,31 EUR/ Tallinn 0,32 EUR. The bakeries are more inexpensive than the transportation tickets in the Baltic states: for about 0,20 EUR we got delicious cake which was still made by hand - and not industrial. The three Baltic capitals Tallinn, Riga and Vilnius have each their own character. One thing they do all: change.